Too hot for KC today, so I went to Kidderminster by bus – to save on a train fare (the advantage of a bus pass) 42968 was running backwards from Kidderminster but I did manage some shots of 7812 & 2857 at Bewdley. The Manor was on Footplate Experience and the only worthwhile shots seemed to be of the 2 locos as 2857 arrived. In the photo below, the participants are learning about all the controls and workings of the Manor as 2857 passes by. This entry was posted in Sharpo's World Photo Updates on September 29, 2011 by Sharpo. 4160 was due to leave on the Monday, so KC & I walked up to Old Hill station to catch the train to Kidderminster. Walking down the car park, the trailer was in position and soon 4160 was being winched onto the trailer. Our train was hauled by 42968 and by the time it departed the 2-6-2T had been loaded and secured on the trailer. 92212 was also in position to move into the yard for loading the following day. In the photo below, 42968 heads for the stock in the platform as 4160 is winched onto the trailer. Tornado was in action at the SVR gala over the weekend and is seen heading through Old Hill on the way to Stewarts Lane to work a railtour later in the week. The light is always very difficult here but I just managed to catch it in some sunlight. 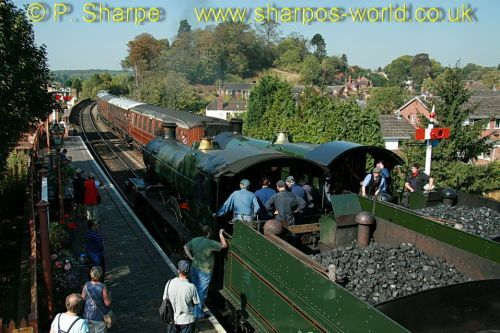 This entry was posted in Sharpo's World Photo Updates on September 28, 2011 by Sharpo. Plenty of photos taken at stations between Kidderminster & Highley. Main locos seen are 828, 2857, 4160, 6024, 7812, 60163 & 92212. A very enjoyable day! 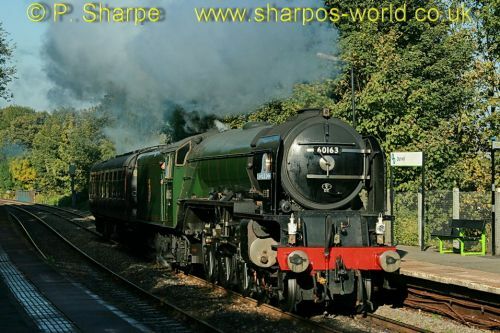 This entry was posted in Sharpo's World Photo Updates on September 23, 2011 by Sharpo. Yes, it’s that time of year again! September 23 – 25 & 3 days of action up the Valley! 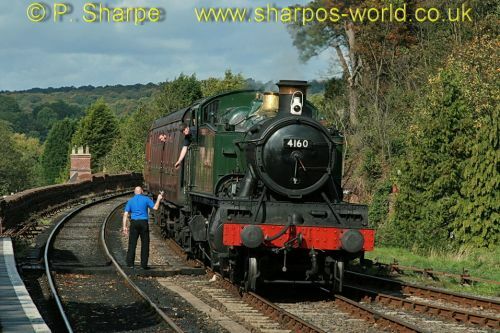 This entry was posted in Severn Valley Railway on September 22, 2011 by Sharpo. 4160 (visiting from the WSR for the gala this coming weekend) was listed as working the Bridgnorth set today, so we (KC & I) headed to Bewdley by train – including travelling on a Class 150 DMU to Kidderminster. 7812 was working our train from Kidderminster. 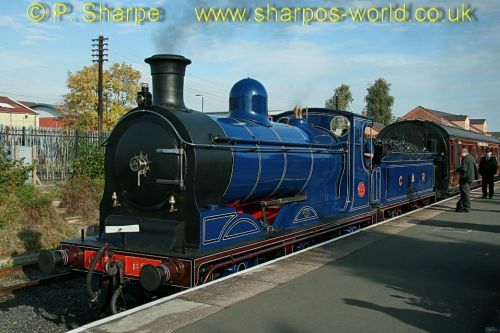 This entry was posted in Sharpo's World Photo Updates on September 21, 2011 by Sharpo. Back home last Friday, so might get back to the normal routine – whatever that is. Saw 50042 at Bodmin on the previous Saturday. 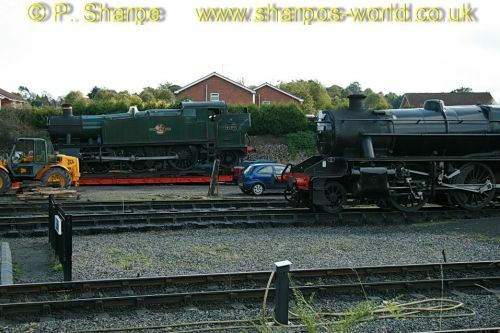 30120 & 5521 were working the train during the week, unfortunately City of Truro had boiler problems & was not running. Lilian was running at Launceston. An 08 shunter was on our train at Okehampton. We also travelled on the Looe & St. Ives branches. Having a cheap day trip to London tomorrow, only £4.95 to get there, and better still, just £1 to get back. Using the new Chiltern service with 67s on the loco-hauled stock. This entry was posted in My uninteresting stuff on September 18, 2011 by Sharpo. 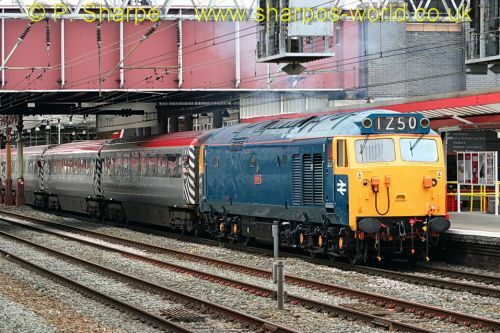 50044 is seen at Crewe as it heads The Snowdon Ranger to Holyhead. 50049 was unavailable and 57304 was attached to the rear of the train to assist with shunting movements etc. 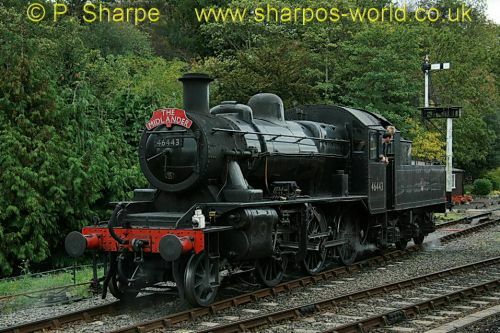 This entry was posted in Sharpo's World Photo Updates on September 7, 2011 by Sharpo.